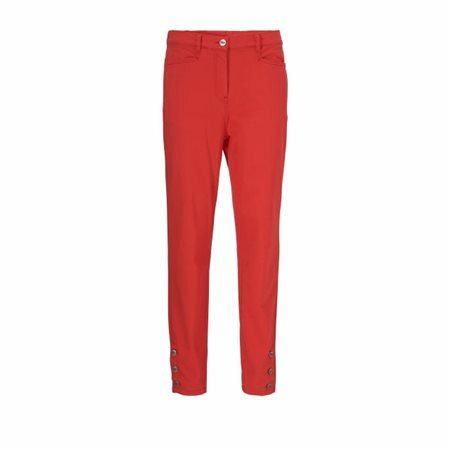 Masai Clothing have created these stylish, slim-fitting trousers in a gorgeous stretchy poppy red fabric that makes them wonderfully comfortable to wear. The trousers feature front pockets, decorative pockets at the back and slits with buttons at the legs. Fresh and fabulous spring trousers for the fashion forward lady!